Today's review is brought to you by guest blogger naswho, who describes himself thusly: Student. Writer. Tutor. My role model is a fictional character, just like Yours. If you're reading this, you're reading my mind. You can find Nas on twitter, here. The Superman myth is a well known and popular aspect of modern comic culture. He’s the granddaddy of all superheroes, and is constantly being reinterpreted by writers and artists of various eras to suit the times. 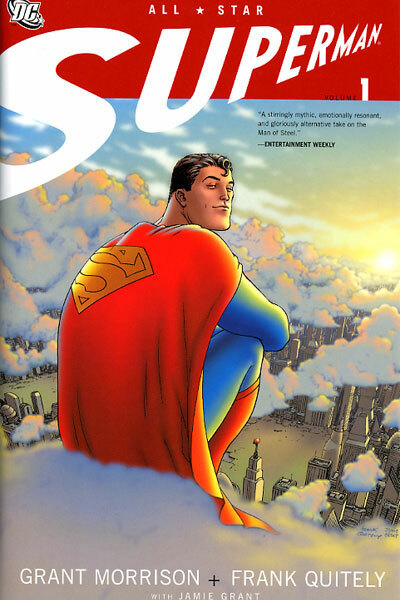 All Star Superman is writer Grant Morrison’s attempt to tell a timeless Superman story, one that exists within a continuity he’s created from across the varied eras of Superman’s publishing history and is both easily accessible to new readers and rewarding for anyone who already loves the Man of Steel. 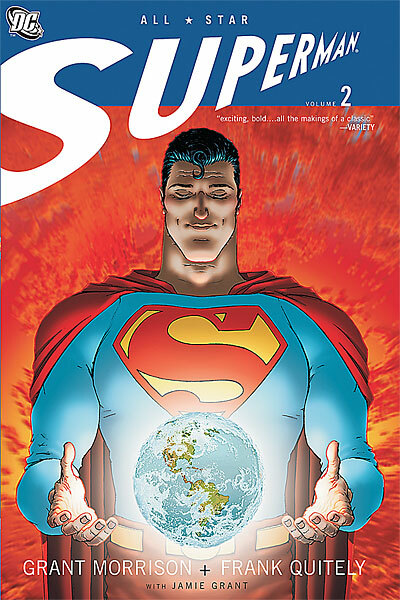 The basic thrust of the plot is that Superman, after rescuing scientist Leo Quintum from a failed mission to land on the sun, finds himself overloaded with solar energy. He’s reached the peak of his potential in his current form and is now dying. With only a year to go, the Man of Tomorrow sets out to try and save the world one last time, completing the adventures that will become known as his 12 Labors in the far future, and come face to face one final time with his archenemy, Lex Luthor. The story’s a whimsical homage to every era of Superman, with a hefty dose of Silver Age charm and excitement thrown in for good measure. Grant Morrison and Frank Quitely are two creators who work extremely well together and are both at the top of their game on All Star. The book is carefully crafted to work on multiple levels; as a 12 chapter superhero adventure story, as an epic solar god myth that moves across the course of a day, and with each chapter working relatively well as a standalone action story. The two creators plumb the depths of Superman’s media history to craft their own perfected versions of Superman, his girlfriend Lois Lane, best pal Jimmy Olsen, the shambling reverse-Superman Bizarro and the mad scientist Lex Luthor. Their take on the characters as the inspiration for a greater mythology that will carry the Superman crest into the far future makes for a fascinating read. A character like Jimmy Olsen, who is often pigeonholed into the role of comedic foil or ‘cub reporter’ for the Daily Planet, is fleshed out here as being an adventurer in his own right: a guy worthy of being Superman’s best friend. Lex Luthor isn’t a generic mustache-twirling supervillain. Instead he’s recast as someone whose dark side is something we can all identify with. If Superman is humanity’s greatest potential for good, then Lex Luthor is every jealous, mean, hurtful thought that’s ever crossed our minds, embodied in one person. A lot of the book also focuses on Superman’s relationship with Lois Lane, who is depicted with great depth. More than just the spunky reporter or the flailing girlfriend, in All Star we see the real pain she goes through in denying the existence of Clark Kent, but also the amazing moral fiber she demonstrates that makes hers and Superman’s grand, elegant romance such a significant part of his story. The entire book is worth the cost of admission purely so you can read Chapter 10. The book is really so elegantly crafted, with such deliberate intent by its creators that it’s near impossible to identify anything as specifically “bad” about it. Some people aren’t fans of Morrison’s dialog, especially where it relates to the fun 60s Silver Age concepts that some readers feel belong in the past. I know on a first reading that some of the middle chapters, while perfect in their execution, almost seem to slow down the narrative. 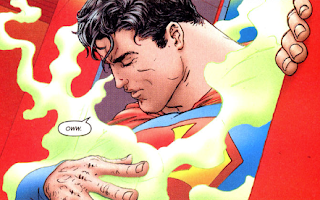 While a closer reading of the text, especially in light of its mythic undertones, will probably erase this feeling from every subsequent read, they do seem like almost tertiary-level adventures that Superman gets into when we’re really anticipating his demise. Morrison is also not the sort of writer who’s fond of spoon feeding his readers. Seemingly random or unimportant statements by characters in early chapters often have significance to plot points that seem to appear out of nowhere near the end of the narrative. While criticizing his arguably superior technique as a writer seems unfair to me, I know that it’s something that bothers a lot of people about his work. 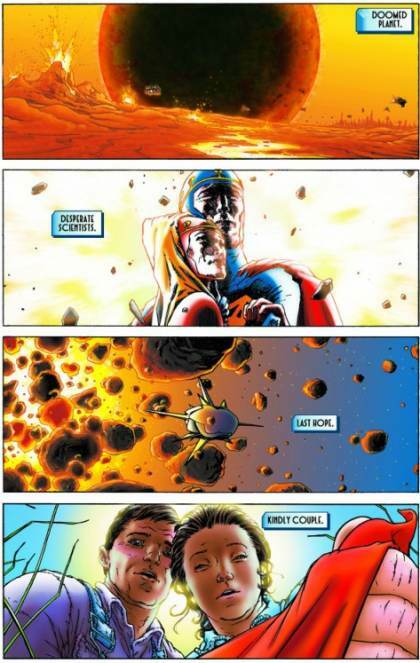 It’s at least less prevalent in All Star than it is in some of his other works, like Final Crisis or The Invisibles. Frank Quitely is an absolute master of his craft. He’s one of the best storytellers in the business, making deft use of each and every line to create living, breathing characters without resorting to the “realism” of guys like Alex Ross. Characters frown, grimace, smile and snarl, each with their own distinct personalities and quirks. In All Star, he expands upon his usual tight panel structure for something extremely conventional, making use of widescreen panels and epic splash pages. Occasionally he’s able to really show off his knack for unusual layouts, such as during Chapter 5’s walkthrough of the Stryker’s Island Prison, but he mostly keeps things simple and easy to follow. For new readers, being able to follow the flow of action from left to right, top to bottom is pretty important, and Quitely’s characters flow smoothly across the page without any confusion. He’s also a master of design, providing revised versions of a bunch of familiar Superman characters, homages to classic devices and stories, and his use of space both within the panels and on each page as a whole is remarkable to study. And you will want to study it. The Absolute Edition referred to above is the oversized slipcase hardcover edition of the book. If you enjoy the story as much as I did, it’s the definitive edition to own. Quitely’s art is blown up closer to its original size, making all the subtle details and line work that he does shine through even more. There’s also a new cover by Quitely on the slipcase. This edition also includes several pages of commentary from Morrison, including sketches and designs by Quitely and Morrison, some script pages and a lot of the thinking that went into each character, even some that show up for just one or two panels. And for those who are really interested, there’s also a newly released All Star Superman animated feature. It follows the comic pretty closely, streamlining things a bit here and there. It’s the final work of deceased comics and animation writer Dwayne McDuffie, and it is probably the best film the DC Animated team has ever put out. 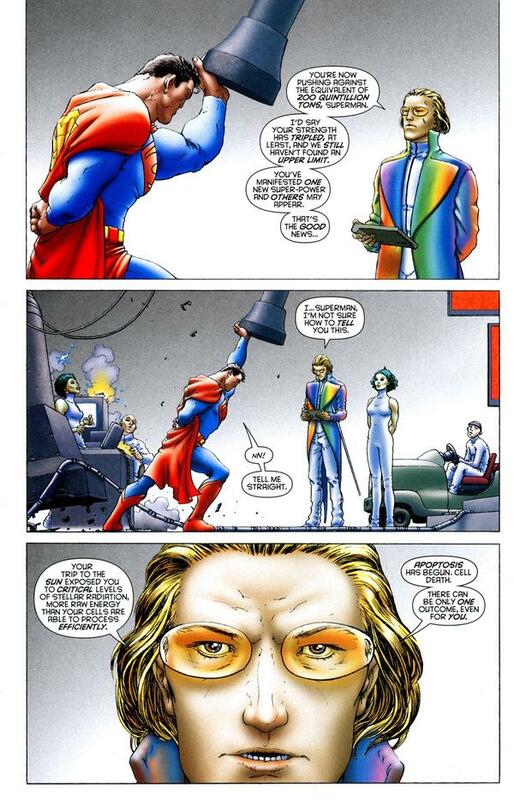 Obviously there’s loads more Superman stuff out there, but this ranks up there with the absolute best takes on the character (if it’s not the best itself). 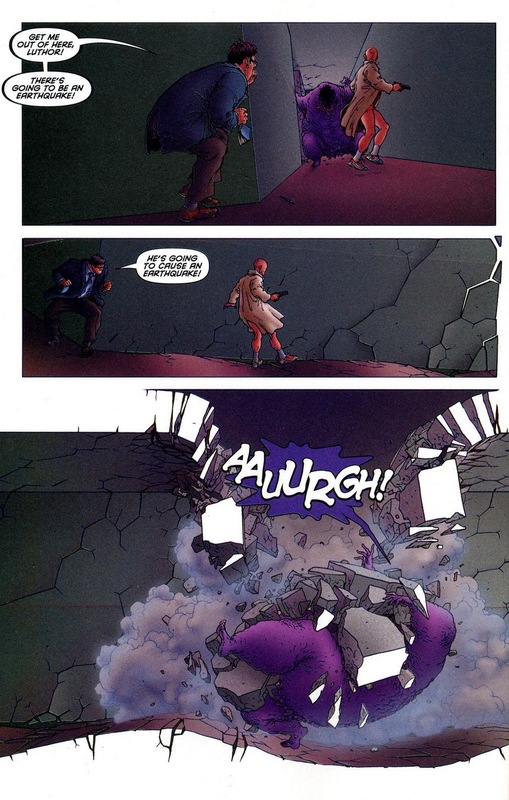 Morrison and Quitely have collaborated on numerous projects throughout their careers, including We3, Flex Mentallo, JLA: Earth-2 and Batman & Robin.